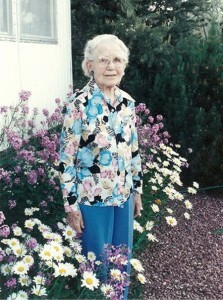 As Spring approached each year, my Great Aunt Bertha Schumacher seemed to blossom right along with it. Her favorite flower was the Crocus, and while I can agree that they are beautiful, the fact that they last for such a short time, makes them a flower that I hadn’t really considered as a favorite, or even given much thought to once they had faded away for another year. Nevertheless, for Bertha, Spring was a time to feel alive again. 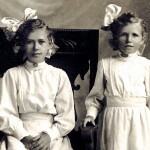 The long winter was finally over, and she and her sister, Elsa reveled in the beauty of the flowers, as they drove their horse and buggy to school in the mornings. Bertha called the drive to school, one of her wildest joys, because the Crocuses were so abundant in the fields along the road. The view must have been amazing! The Crocuses she would see around Boulder, Colorado later in life grew much taller in the mountains there, but on the prairie, they grew in sheets, and they were magnificent. I can only imagine how amazing they must have looked along the road as the girls went to school. It would be enough to give you a horrible case of Spring Fever when you got to school, and had to try to apply yourself to your studies. The only time I can remember seeing flowers that dominated a field was when my sisters and I visited our sister Caryl in Bremerton, Washington and we took a drive up to Bellingham for the Tulip Festival. That was magnificent, so I can somewhat relate to Bertha’s feelings on so many flowers in one place. Another of Bertha’s favorite flowers was the wild Tiger Lily, which grew in “unbelievable abundance” in the lake country near their home in the Fargo, North Dakota area. The wild Tiger Lilies grew only where the ground had not been “turned by a plow” and in the 27 years the family lived there, they saw them completely disappear. The family occasionally saw the wild Tiger Lilies when they were driving home from Minnesota. They were always so tired, and then they would come up over a hill, and there would be a whole field of them., They got so excited. They stopped to pick some of them, and then go to enjoy them for days. The only spring plant that Bertha thought was a worthy rival to the crocuses and lilies, was her mother’s strawberry plants. the strawberries were planted at the edge of the garden so they could be easily picked, and often the early ones were picked and eaten long before the main harvest. The strawberries grew so large that they could not hide among the leaves and were easy to see. Of course, as with any garden, there was weeding to do, but nobody seemed to mind, because as they worked, they were reminded of the luscious harvest to come. Great Aunt Bertha, and her sister, Elsa loved to garden in her later years too, and tried to transplant some of the wild Tiger Lilies and the wild Crocuses into their own garden in Boulder, but they just wouldn’t grow. I guess that some flowers will only grow where they choose, and not where we wish they would…unfortunately. We have both here and I Haven’t tried to transplant the Wild Tiger Lily’s but I will one of these days and see what happens. The crocus here is another wild one but they are planted in many Gardens here. They have a contest here to see who will get the first one up in the spring. Its never me We have Snow way to long up here. I have some volunteer crocuses. I’ve never tried to plant those or tiger lilies.